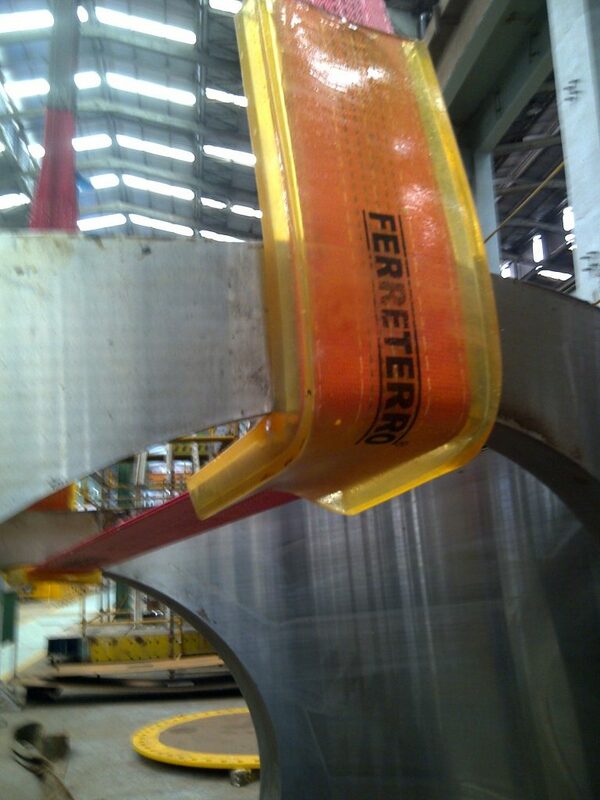 Sleeves for Lifting Slings – FERRETERRO INDIA PVT. LTD. Sleeves are used on lifting slings to provide safety from cutting. Due to sleeves, the slings can be used to lift extremely cut prone products and also these not damage the edges of product. 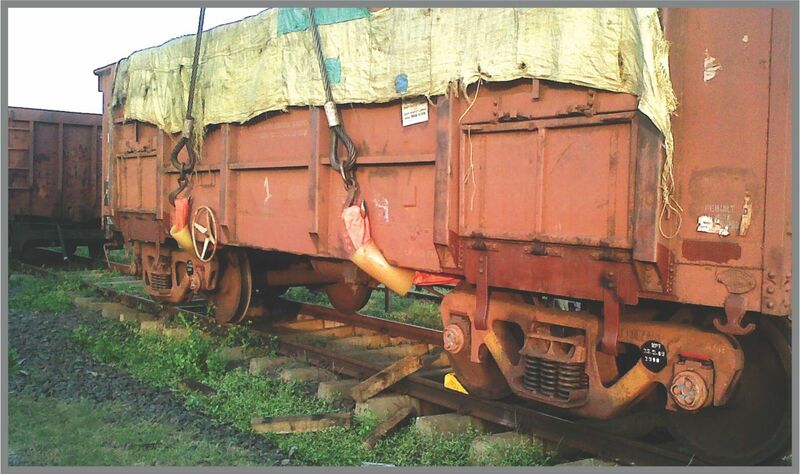 Sleeves are made to lift Glass, steel blades, girders, slit coils, wooden logs and give extra long life to slings. Usage of sleeves at workplace is a must . 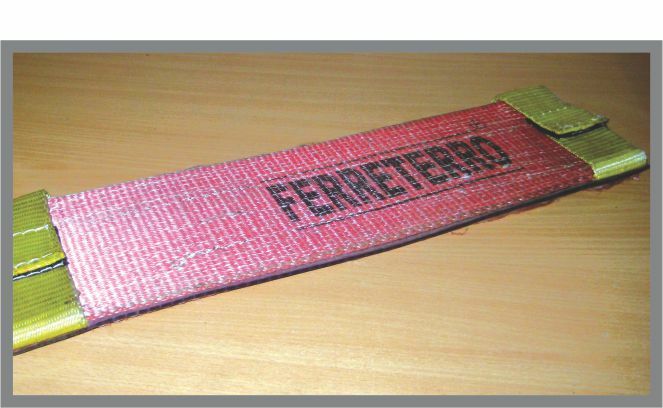 We, at Ferreterro, give free anti-abrasive sleeves for slings above 50 tons and occasionally in smaller slings for the user to know the advantages of sleeves. We have a large variety of sleeves as per requirement of job. The sleeves stick to the job and sling moves in freely to adjust itself and resist abrasion or cutting giving extra life and safety. 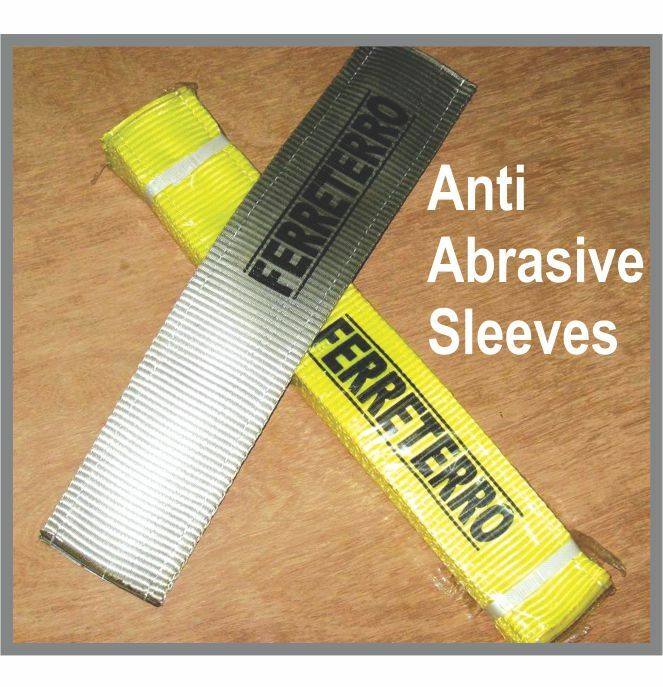 Anti abrasive sleeves increase life of slings upto 10 times. Made of HTPY and strongly constructed are available in PU impregnated and regular features. Polyurethane blended sleeve upto 30 tons capacity. 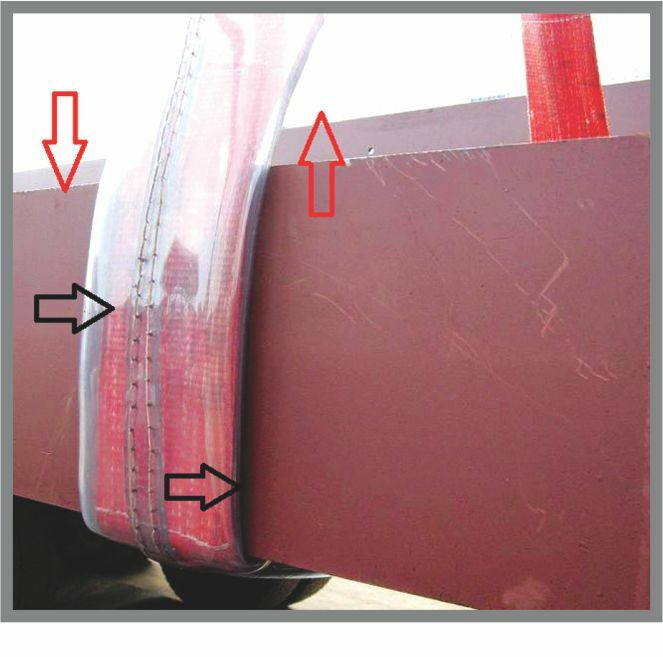 Clear construction to view damages to webbing. Side stitches with triple AA on stitches for extra long life. 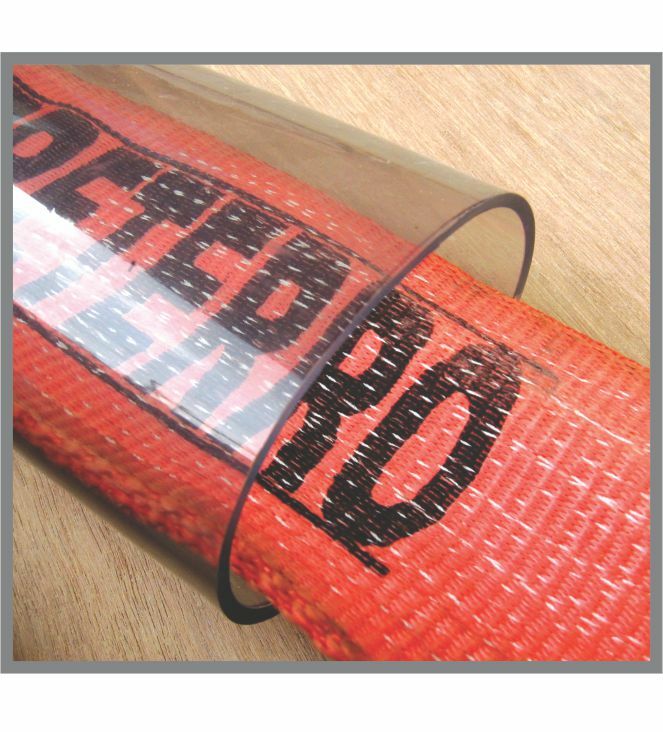 INNOVATION : Anti Cut Polyurethane blend sheet sandwiched in Abrasive resistant sleeves for extremely heavy duty applications where both anticut and anti abrasive properties are required, made at high temperature to maintain properties. Available in loop design slip on and Velcro type . PATENT PENDING. 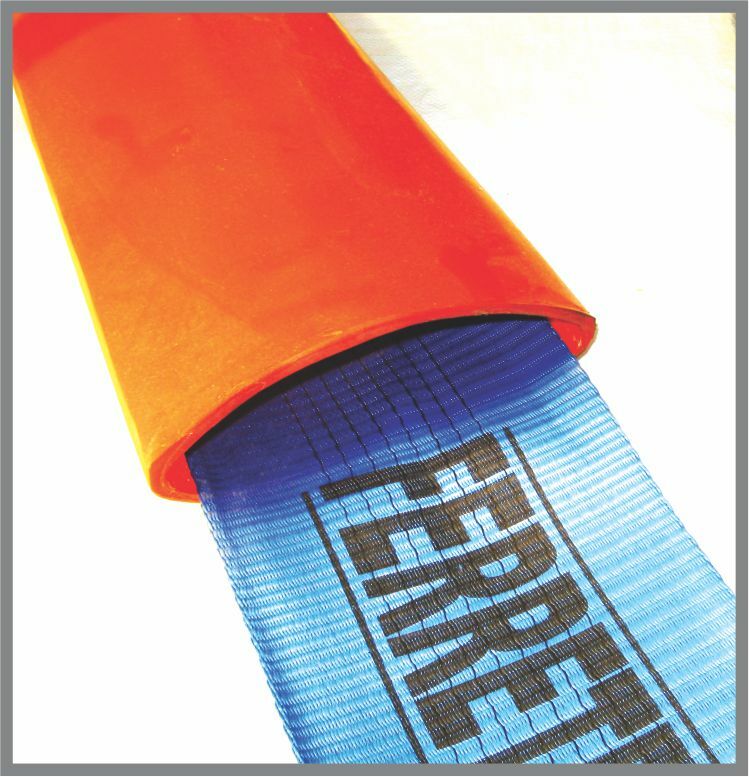 FERRETEXX is Extreme condition sleeve to lift almost anything. Sharp coils, Ultra sharp edges are now easiest job for synthetic slings. 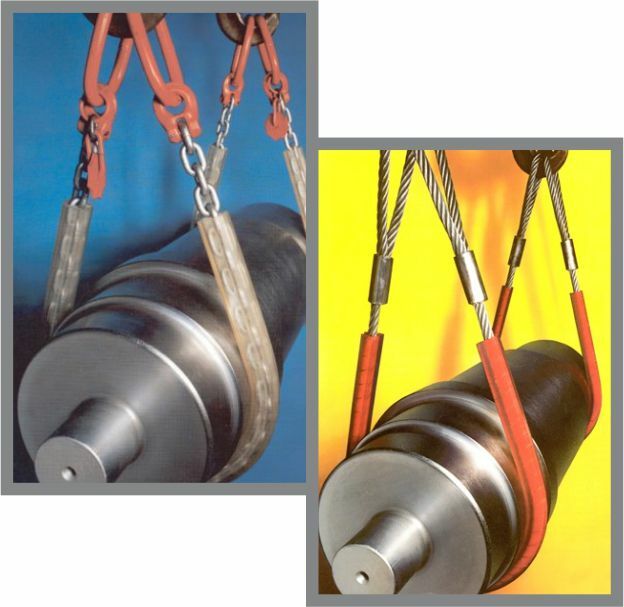 Available in both Round slings and Flat webbing slings for loads upto 300 tons. These sleeves stick to the job and are extremely cut resistant. To be used for super sharp cut edges. Also available in Heavy duty steel corners with magnets . 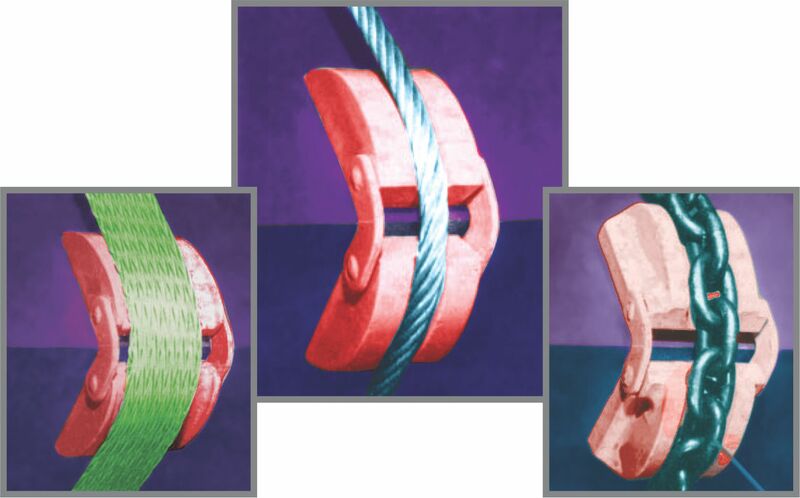 Saves your chains, Wire rope and webbing from damages. Also saves edges getting damaged from lifting as an empty cavity is created while lifting.